One of our new pens in the EDC series. A quick twist and you have a smooth writing instrument. It features Blue Parker style ink cartridge by Schmidt great fro everyday use and easily replaceable at any office supply store. 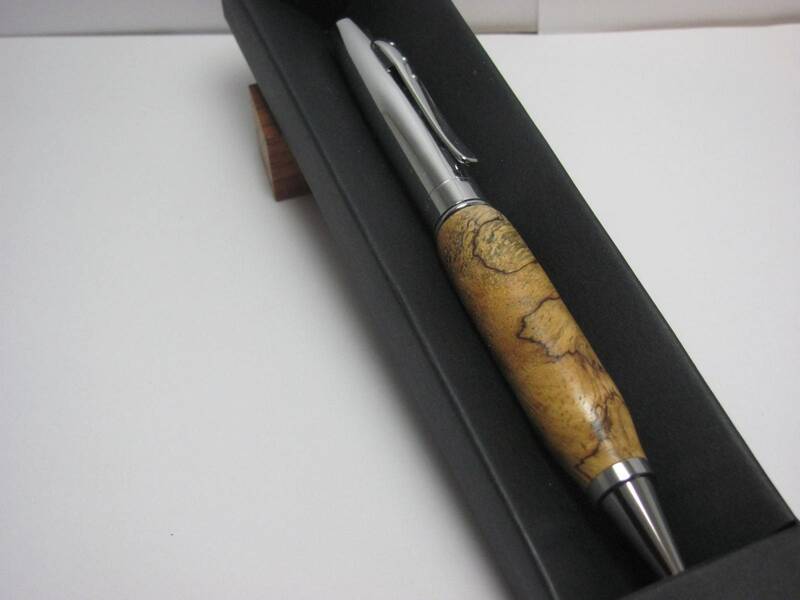 This one is made from a beautiful spalted wood blank and features a chrome finish, it measures 5 1/2" long. Comes in black paper presentation box.